Sending email directly from your server can be hit or miss at best. 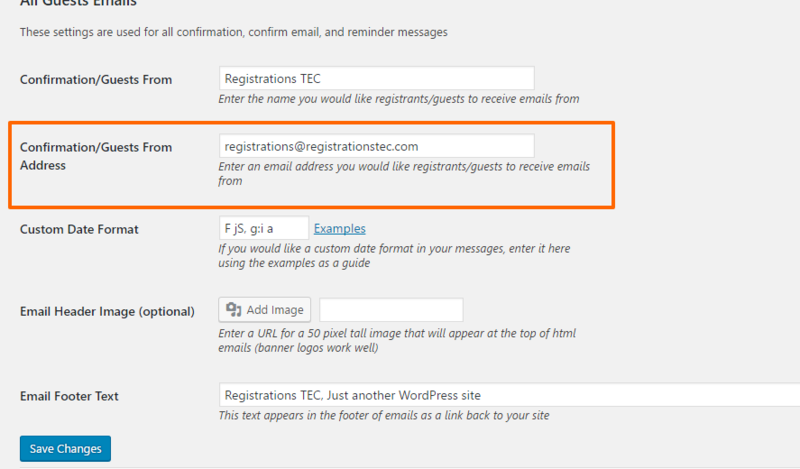 We recommend setting up a third party SMTP service for the best experience of our plugin, Registrations for the Events Plugin, as well as WordPress in general. We have used Postmark for email delivery for several years on client sites and emails sent with it have never been rejected or even been sent to spam as far as we can tell. Also, most email clients will automatically trust images and links included in these emails due to Postmark’s impeccable reputation for not sending spam. 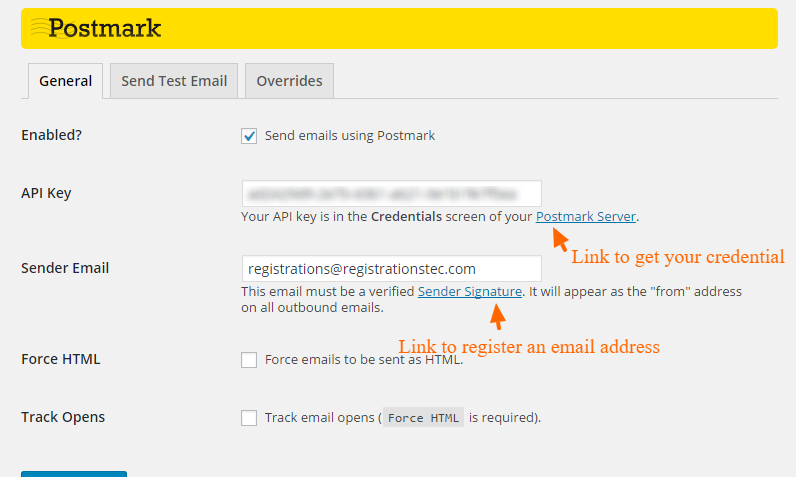 We have contacted representatives of Postmark and they have given us an ok to use their service for the features of the plugin Registrations for the Events Calendar like sending confirmation, notification, email verification, and bulk reminder emails. Do not use Postmark for marketing emails. This would include general newsletters that can be created and sent from plugins like Mail Poet. How can I install and use it? That’s it! You can now have confidence that your emails will arrive in your user’s inboxes as expected. Also, on a final note, the Postmark team is super helpful and friendly so feel free to contact them with questions you have about the service.